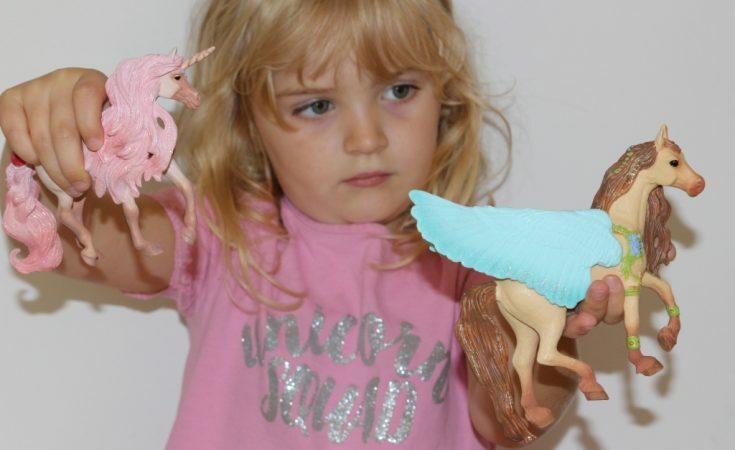 This week we’ve been playing with some Schleich bayala Unicorn and Pegasus figures. 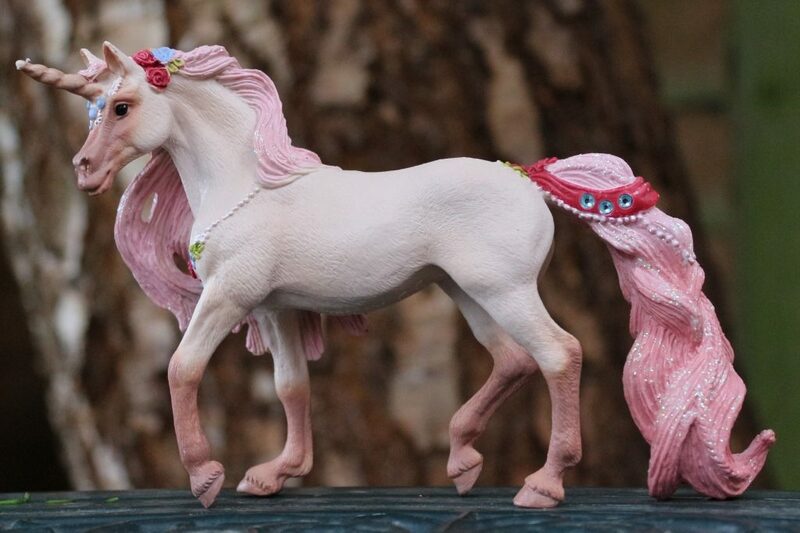 Schleich is a classic and well-know brand which you may well be familiar with from your own childhood. 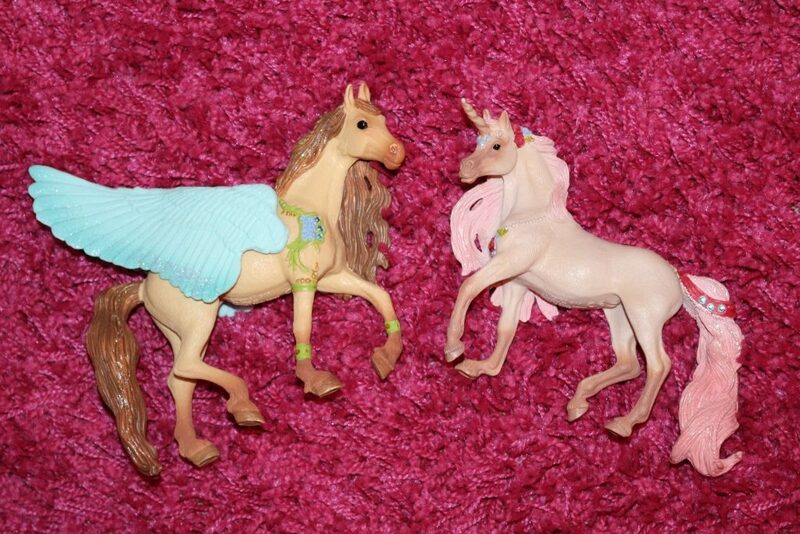 Schleich have in fact been around since 1935 so clearly their hand-painted animal figures have stood the test of time. Schleich have now expanded beyond animals into dinosaurs, Marvel figures, dragons and other mythical creatures. 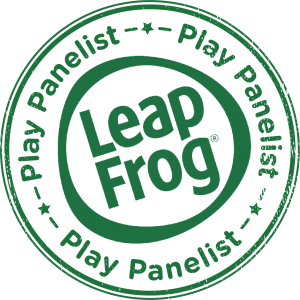 They’re well made, good quality figures and our collection get played with very regularly. The bayala figures are my perhaps my favourite Schleich range. 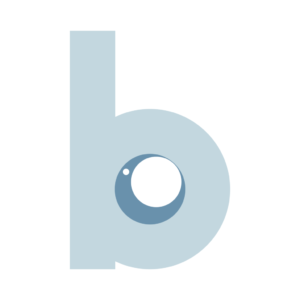 Bayala is a magical, mythical world with elves, fairies, mermaids and their animal companions. It was some of the Schleich bayala range which we were sent to review. I knew my daughter would love them. She already has a pink fairy, princess and unicorn decorated bedroom (because why stick at one theme?) and loves anything sparkly, so I hoped that we would be sent the pink unicorn mare, which we were, along with a handsome Pegasus stallion. NB If you want to know the gender, you just have to turn them over and peek because the detail is all there! 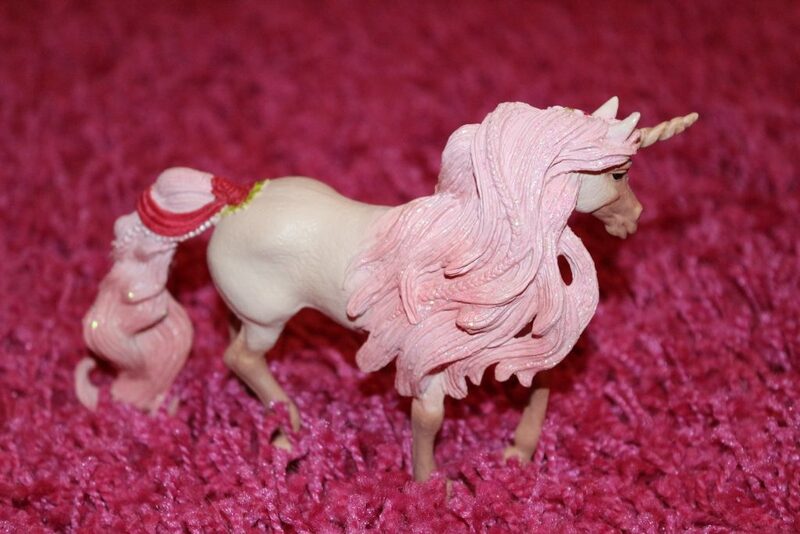 There is a cute little pink unicorn/Pegasus foal to go with the two, but our pair aren’t parents just yet. The Schleich bayala Unicorn and Pegasus mare and stallion are beautifully crafted and hand-painted with accurate, lifelike details. The attention to detail given to Schleich figurines is always remarkable. The mare has delicate plaits, pearls, flowers and gems decorating her mane and tail, and the stallion has a beautiful pair of blue wings. These are firmly stuck to the main body but should not be pulled too far apart as the could come detached with a lot of pulling. The pair are hand-painted with ethereal pastel colours and even have a touch of glitter to make them extra magical. They’re a good size too; larger than the other Schleich horses that we have. The figures are heavy and solid, and therefore made for older children (recommended for age 5+) who won’t use them as weapons but will use them for hours of fairytale imaginative play. My daughter enjoys immersing herself in make-believe and will shut herself in her room playing with dollies and figures for as long as she is allowed to, so I am sure that these will get a lot of use. 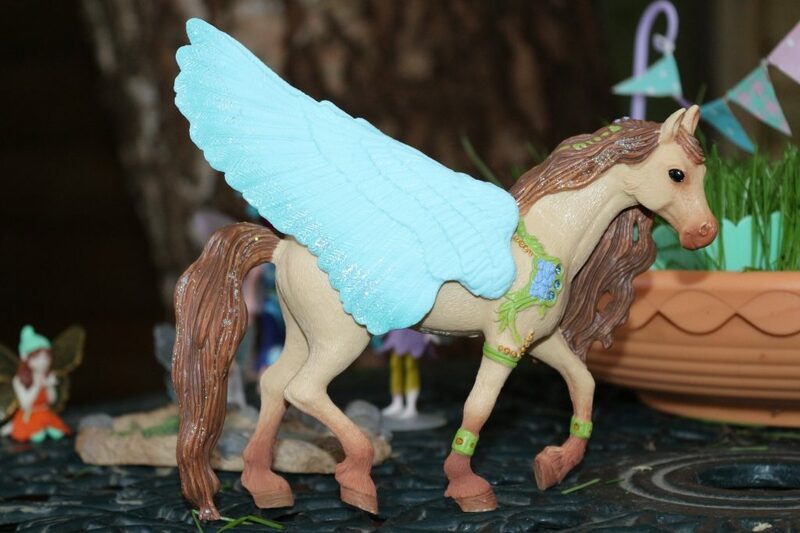 The magical bayala unicorn and Pegasus are the perfect addition to her fairy garden and fairy playset, and I am sure that her new Schleich bayala figures will last her for many years. 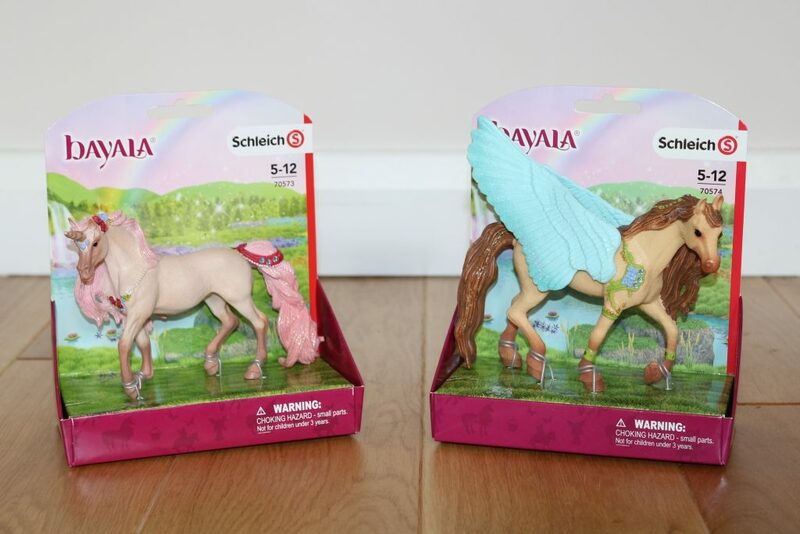 The Schleich bayala unicorn mare and Pegasus stallion have an RRP of £13.99 each and can be purchased from good toy shops or online, including at Amazon here and here. There is of course an entire range including figures and playsets; you can see the entire bayala range on the Schleich website. 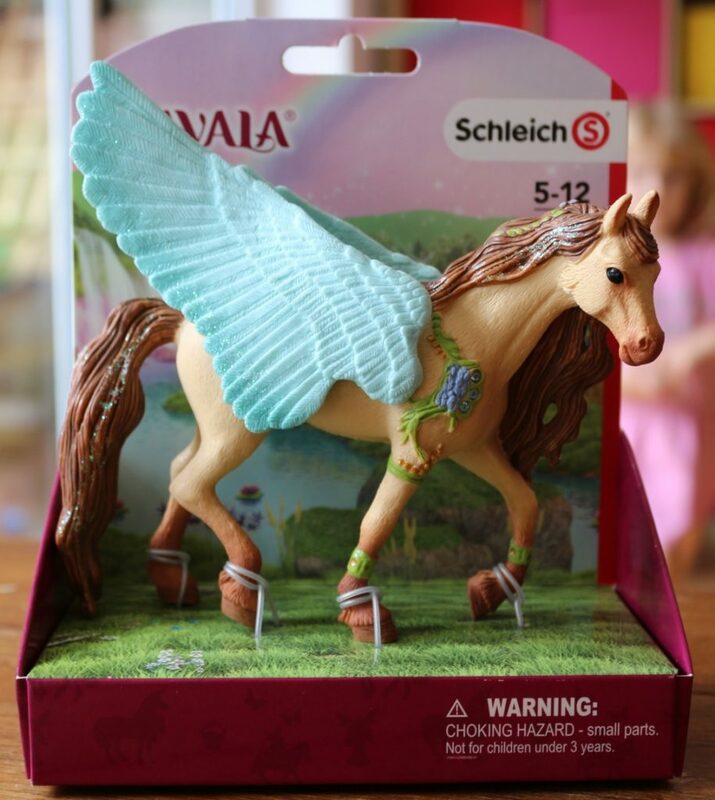 We received the Schleich bayala unicorn mare and Pegasus stallion free for the purposes of this review but all words and pictures are mine. 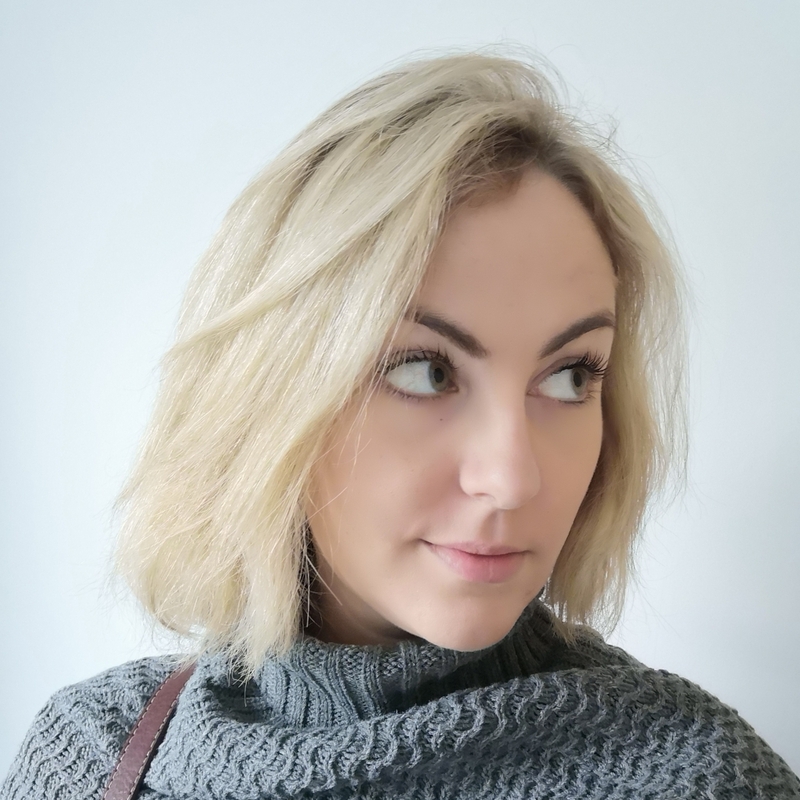 The Aldi Baby and Toddler Specialbuy event 2018 is online now!